An upgrade from our "True Elegance" floral arrangement, "Addicted to Roses" is even more voluminous in both size and meaning. The overflowing display of red roses with appearences of white roses can either be used to represent love, romance, or joy. Perfect for giving to a significant other or to adorn an event! 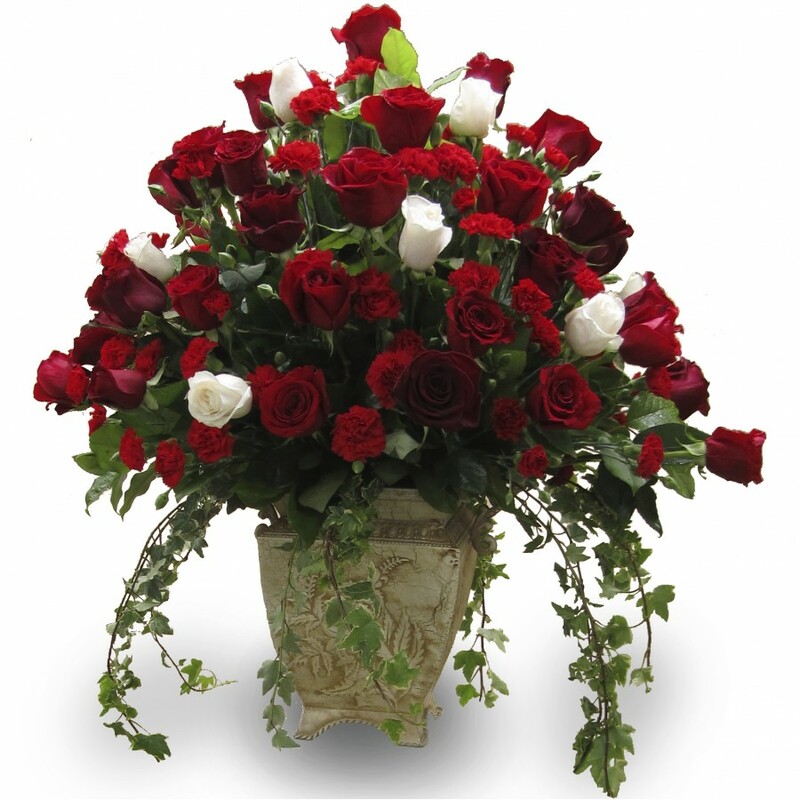 Included are a galore of red roses, red carnations, and six white roses. The arrangement is supported by a square, champagne colored roman vase.